I like to know what is in my food. Lately I have been cutting out processed foods and making most of my food at home. It’s a lot more work but it is so rewarding. A lot of food that you can buy on grocery shelves can barely be considered food at all. These are the people behind the food. Knowing their stories helps us appreciate our food even more. I love that this farmer chose to switch to organic farming. 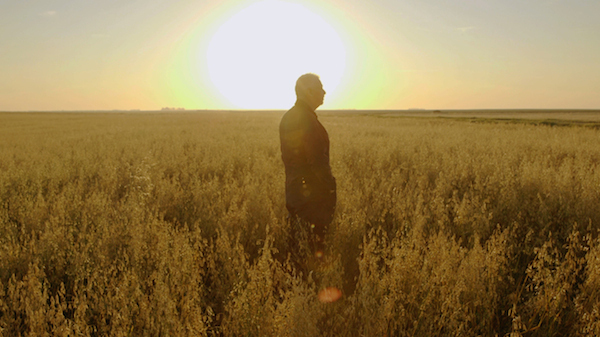 He saw the immediate effects of pesticides first hand- and he wanted to change it. He cares about his family and he didn’t want them to grow up around pesticides. If the farmers don’t want their families around it- we probably shouldn’t want our families eating it. 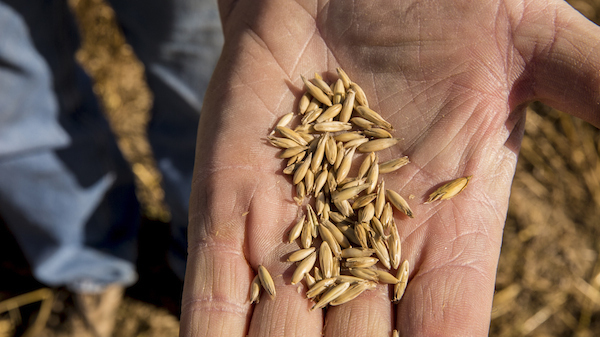 Organic oats are one of Clif Bar & Company’s founding ingredients. There’s a reason for this- Clif Bar & Company are committed to using the best ingredients that are grown in a way that is good for both the earth and the people on it, now and in the future. I try to live as green a lifestyle as I can. That includes making my own cosmetics and cleaning supplies- and knowing what goes into my food. Organic food not only helps you avoid harmful pesticides for your health, but it helps you support organic farming practices which are more sustainable for our food system and earth. I challenge you to try to learn more about what is in YOUR food at home. Read every ingredient on a box before you eat something. The longer and harder that list is to read, the less you should want to eat it. It’s pretty simple. Even though I am trying to eat less processed foods, I can’t be perfect. One of my go-to quick foods is Clif Bar & Company’s Kit’s Organics Bars. They’re ridiculously good, and I trust that they aren’t hurting my health or the environment. Want to learn more about how much Clif Bar & Company cares that you know what is in your food? Check out their Twitter and Facebook. « Great Black Friday and Cyber Monday Deals!